Alison D. Kimble | Spiros Law, P.C. Alison D. Kimble joined Spiros Law, P.C. in 2018. Alison’s practice focuses on Motor Vehicle Accidents, Workers’ Compensation, and other personal injury matters. Alison is a Michigan State University College of Law graduate and earned a concentration in trial practice from the school’s nationally recognized Geoffrey Fieger Trial Practice Institute. While in law school, She served as a student notes editor for the Journal of Animal and Natural Resource Law. 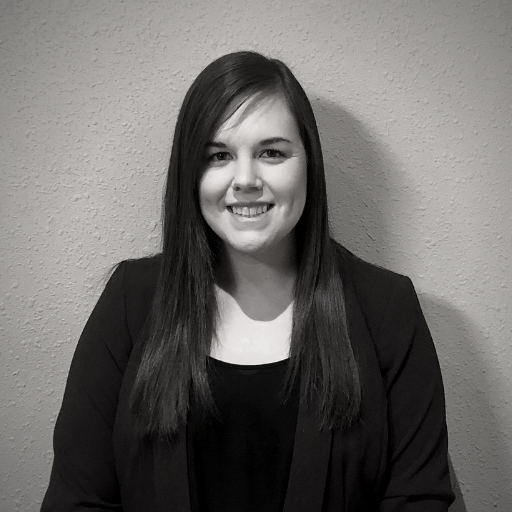 Alison is now excited to start her career serving clients in the area of personal injury law where she can help fight for the rights of victims of preventable injuries. She is eager to provide justice and compassion to her clients, helping them to regain normalcy in their daily lives. Prior to joining Spiros Law, P.C., Alison honed her advocacy and writing skills by representing state agencies in the Office of the Illinois Attorney General’s government representation bureau. Alison also served as a law clerk at a local organization that offers free legal services for low income persons. While there, she helped preserve her clients’ basic human needs and rights. When she’s not in the office, Alison enjoys reading, attending sporting events, and spending time with her family.